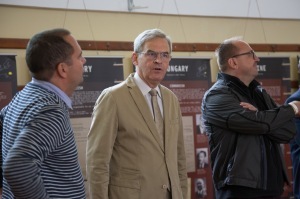 Tusnád, 20 July 2016. 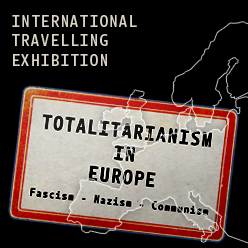 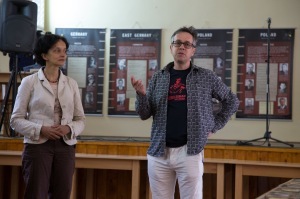 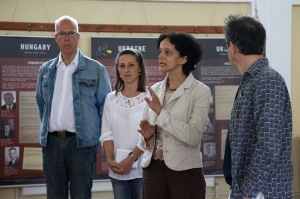 The Platform’s international travelling exhibition “Totalitarianism in Europe” was opened in Tusnád, Romania, at the summer university organised by leaders of the 1989 revolution in Hungary and Romania together with a number of non-governmental organisations. 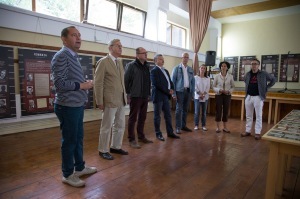 The summer university, which takes the form of a camp with lectures, workshops, discussions, presentations and music concerts is taking place for the 27th time this year. 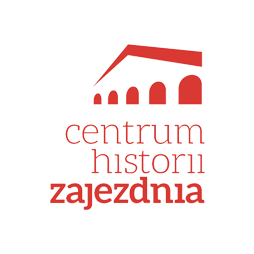 The number of visitors ranges at about 20,000. 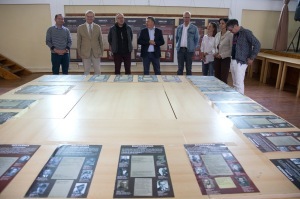 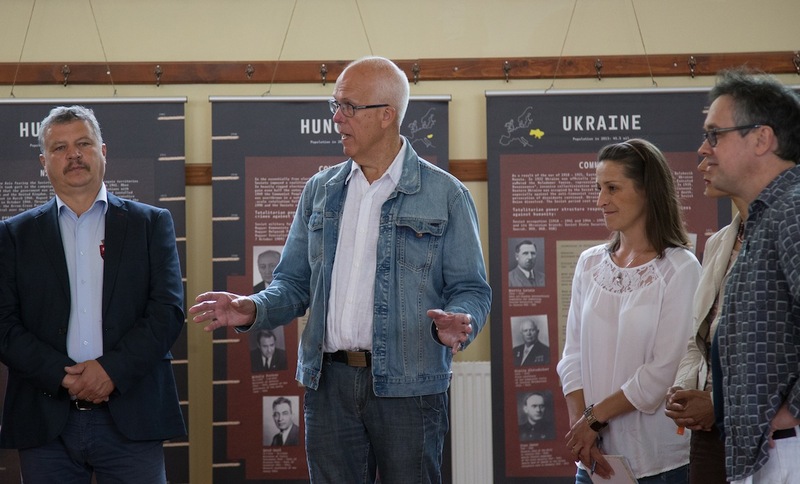 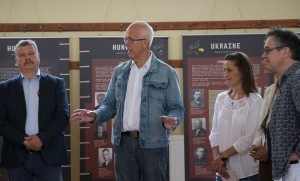 The Platform’s travelling exhibition depicting the numbers of civilian victims of Nazism, Fascism and Communism from 13 European countries framed by photographs of select perpetrators was hosted at the municipal centre of Tusnád. 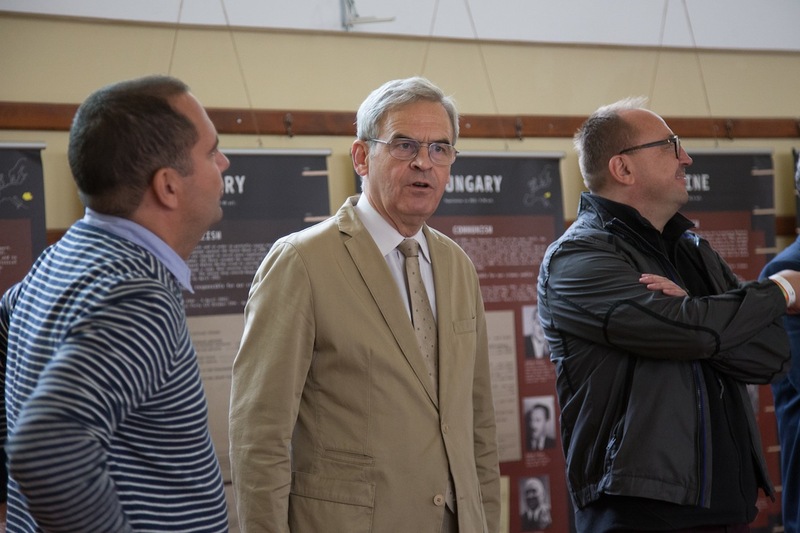 The opening ceremony was held by Mr Albert Tibor, Mayor of Tusnád, Mr Zsolt Németh, Chairman of the Foreign Affairs Committee of the Hungarian Parliament, Mr László Tőkés, Member of the European Parliament, David Campanale, BBC journalist and on behalf of the Platform, President Mr Göran Lindblad, Managing Director Ms Neela Winkelmann and member of the Executive Board Mr Zsolt Szilágyi. The exhibition will be presented in Tusnád until Sunday, 24 July 2016.